“Generally, under existing regulations and interpretations, a developer that sells convertible virtual currency, including in the form of ICO coins or tokens, in exchange for another type of value that substitutes for currency is a money transmitter and must comply with AML/CFT requirements,” the letter said. 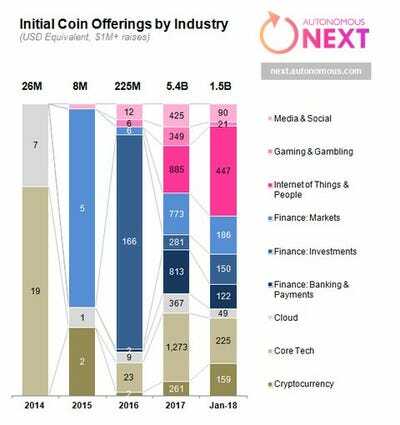 Autonomous NEXTInitial coin offerings raised more than $US1.5 billion in January 2018. This is a “highly consequential interpretation,” according to Coin Center, the Washington DC-based cryptocurrency think tank. 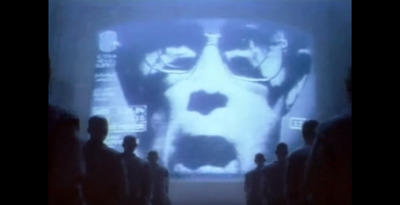 It means the Treasury’s Financial Crimes Enforcement Network could go after companies and individuals retroactively. ICOs raised more than $US5 billion in 2017, according to fintech analytics provider Autonomous NEXT. The US Securities and Exchange Commission hit the ICO market, which is known for its share of fraud and big dreams, with a string of subpoenas, asking for information from companies and individuals involved in the fundraising method. “Currently all good ICOs are already compliant with these regulations,” he said.